How to create Database and Table in Sql Server? 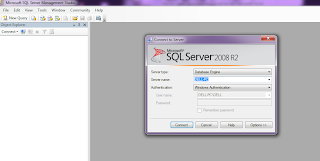 Introduction: In this I will explain how to create Database and Table in Sql Server. Open Sql Server. Select Authentication and click on Connect. 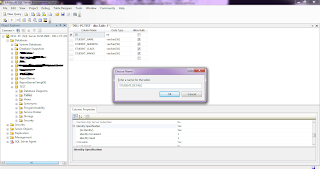 Right click on Database>New Database. Here TEST is Database and click on Ok.
Now go to Database and click. You see Database of TEST. 4. Click on Database TEST. 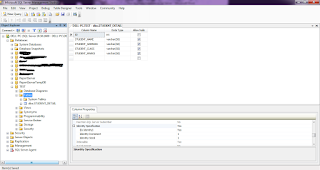 You see Database Diagrams,Table, Views,Synonyms, Programmability, Service Broker, Storage and Security. 5. To create Table, right click on Tables. 6. 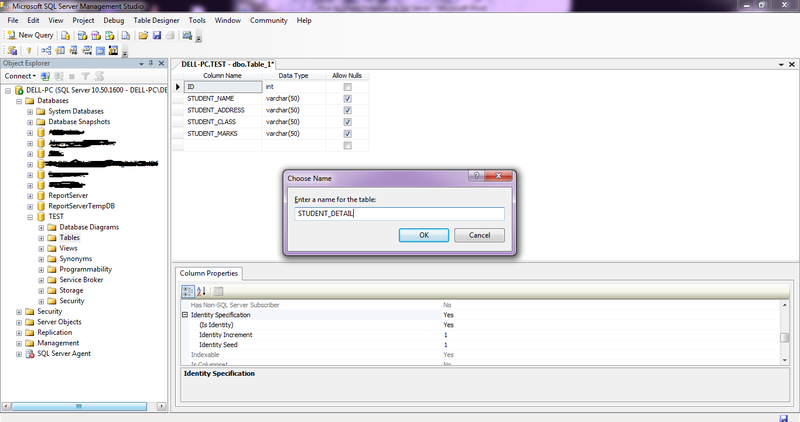 Enter Table fields and set Table ID auto increment. 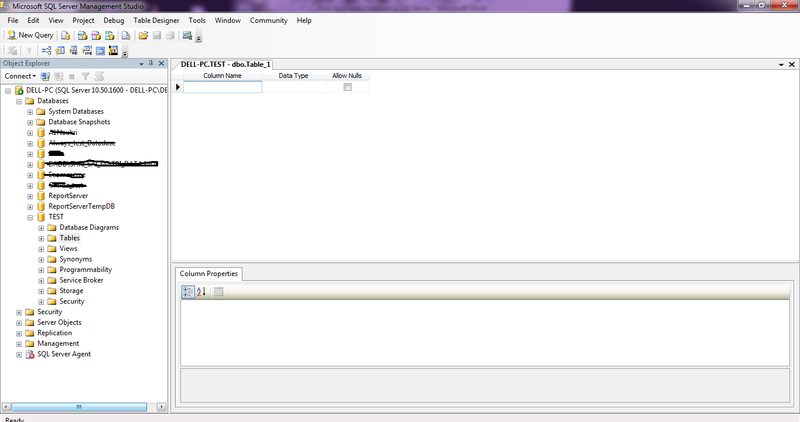 To set ID auto increment go to Identity specification and do it true. 7. Now save the Table. Now you see the STUDENT_DETAIL table in tables.